Fred Fellows was born in 1934 in Ponca City Oklahoma, and his early years exposed him to ranch life and the Osage and Otoe Native American cultures. He became a working cowboy in CA in the 1950s but he longed to be an artist. Encouraged by his step father, he studied commercial art in Los Angeles and spent several years doing aircraft illustration. He then moved to Taos, New Mexico, and to Bigfork, Montana, and in the 1960s to Scottsdale, Arizona. 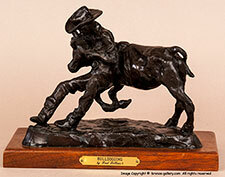 In 1969 he became a member of the Cowboy Artists of America. His working cowboy perspective captured the spirit of the West in his paintings and sculptures of horses, cattle, and cowboys. In 2007 he won the CAA Award and his works in painting, drawing, and sculpture have won many Gold and Silver medals. 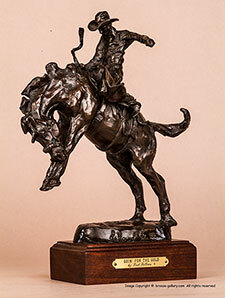 His art work is in the collection of the Buffalo Bill Historical Center, the Glicrease Museum, the Phoenix Art Museum, the Booth Museum of Western Art, and many others.